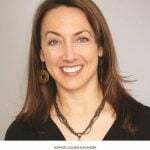 Colleen Kelly Alexander book: What you learn when hit by a truck. "There are some things you learn when you get run over by a freight truck." Colleen Kelly Alexander is a triathlete and motivational speaker. 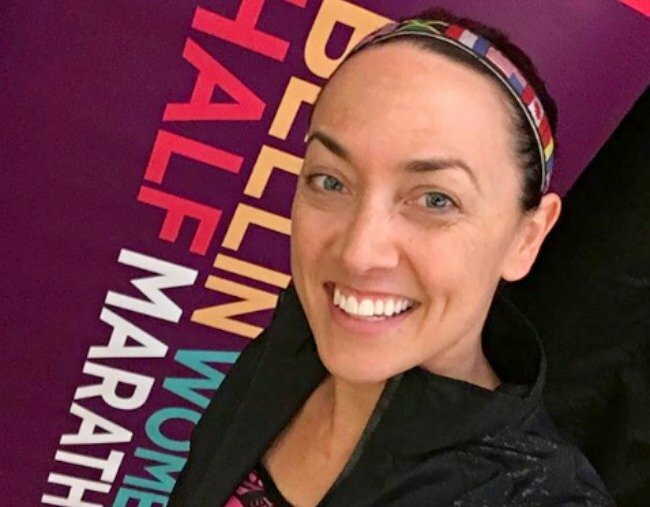 After undergoing brain surgery in 2007 for a chiari malformation, Colleen overcame a lupus and cryoglobulinemia diagnosis in 2009, pushing forward to become a successful, competitive triathlete. In 2011, while on a routine bike ride, Colleen was run over by a freight truck, and after five weeks in a coma and twenty-nine surgeries later, Colleen survived. Rather than let the trauma and PTSD control her life, she became determined to find a way to make something positive from her pain. This is her story. There are some things you learn when you get run over by a freight truck. It was a beautiful autumn day and I had just opened up a great new chapter in my life: I was a 36-year-old newlywed with a fulfilling job where I knew I was making a difference in kids’ lives, and my husband and I were doing triathlons together and talking about starting a family. Things were finally going according to plan—and then the plan got set on fire, courtesy of an impatient driver who blew a stop sign. Mostly, you learn how to be grateful for every tiny thing you probably took for granted before. You spend a lot of time lying down in hospital beds with nothing but your thoughts, and that can go one of two ways: You can drown in your own sorrow (which I did for some time), or you can realise that even with the pain, the permanent disfigurement, the nightmares, and the limitations, life is still not only worthwhile but beautiful. Don’t get me wrong: I would rather have learned that lesson without getting flattened on the street, but that’s how it went. All my life, I’d defined myself as an athlete—a cyclist, mostly, considering that my dad owned a bike shop and I’d practically grown up there learning about bike mechanics. I wasn’t even four when I got on my first bike. In my twenties, I’d already had to deal with significant health challenges that affected my competitive abilities. But I could not have pictured the absolute derailment of my life that was to come, and I could not have imagined getting through it and smiling at the end of it all. In the thick of it, there were many days and nights when I wished I had just died on the road rather than endure the constant daily pain and humiliation of a body that could no longer function without machinery and tubes and bags. I spent five weeks in a coma and had 29 surgeries. But I survived, and despite losing my job and suffering from PTSD, I began to focus on everyone who helped to save my life. What pulled me out of it were those heroes: more than two hundred people who had collaborated to save my life. So many people teamed up just so I could live to see another sunset, take another walk with my dog, or plant another garden. The path back to an active life was fraught with difficulties and setbacks, some of which are permanent, but along the way I learned to keep my focus on gratitude and live my life accordingly—not only feeling thankful, but acting on my thankfulness. The more I found ways to give back, the better I felt. Since the trauma, I have run 50 races and completed 40 triathlons, including 4 half-Ironman events (1.9-kilometre swim, 90.1-kilometre bike ride, 21-kilometre run). I dedicate my race medals to my heroes, including the multitude of medical staff that aided in my survival. Now I’m ready to share my journey in the hope that it will encourage others to take that first step forward. We’re all connected in this world, and it’s our job to look out for one another. Just as many people have looked out for me, I hope I can now be a light for people who are seeking one. Adapted from the book Gratitude in Motion by Colleen Kelly Alexander. Copyright (c) Colleen Kelly Alexander by Public Affairs. Reprinted with permission of Hachette Book Group, New York, NY. All rights reserved. Coolleen Kelly Alexander, author of the forthcoming book, GRATITUDE IN MOTION (Center Street, January 16, 2018), is a lifelong athlete and motivational speaker. With her indomitable spirit and amazing story of survival, Colleen teaches others how to aim higher, be stronger, and use adversity as a catalyst to make themselves and the world better. She was the executive director of the Common Ground Youth Center in Vermont for eight years, and a regional program manager for PeaceJam, where Nobel Peace Prize laureates mentor youth. She has also worked for, volunteered for, and is heavily involved with the Red Cross. She lives in a New England coastal town with her husband and their three dogs and cat. Find out more at Colleenkellyalexander.com, Facebook/ColleenKellyA or on Twitter @ColleenKellyAl.